The United States and Cuba began contact during and just after the colonial period. The United States during the early 19th century began to desire control of Florida and other portions of what today would be called the Gulf of Mexico. This drew America’s eyes down south. Originally, Cuba and Florida were one sovereign colony in the Spanish Empire. The United States was able to purchase Florida but Spain held onto Cuba. Over the 19th century, the United States regularly began to involve itself in Latin American nations to an extent. In 1898, however, the relation of the United States and Latin America, in particular Cuba, were forever changed. In 1898, the United States won the Spanish-American war by invading Puerto Rico and Cuba. The United States subsequently declaimed those nations as its territory and initiated a process of institution US-backed puppet leaders in La Habana, Cuba and San Juan, Puerto Rico. Cuba was later granted non-territorial status from the US while Puerto Rico was and is to this day US territory. Cuba was officially “independent” but the US kept its hands in the government of La Habana. Cubans began increasingly upset with US backed dictators throughout the 19th and 20th centuries. Cuban resentment came to a head with the Castro Brother’s Cuban Revolution which overthrown Batista-a particularly despised US-backed dictator. By 1961, a few years after the establishment of Castro’s Cuba, the US attempted to start a counter-revolution in the island at the Bay of Pigs. The US backed counter-revolution failed considerably. Meanwhile, the USSR begins to eye Cuba. The US in the 1950’s and 1960’s had been placing missiles in Turkey (then a border nation of the USSR.) The USSR moved missiles onto Cuba in a move that would later be called the Cuba Missile Crisis. US President Kennedy resolved to blockade Cuba and effectively remove it from the global economy. Extreme poverty ensued after the blockade and fleeing of the wealthy Cuban expatriate community. The USA and Cuba have drastically different types of governments. These countries differ in the way things are ran and what their laws and regulations are. The USA is a Federal Republic government. Division of power exists within a federal republic, but how the power is divided is sometimes different between nations. Almost exclusively, national defense is handled by the central government, but education and local infrastructure typically belong to the more localized governments. A president or council usually heads up the central government. Though the central government of a federal republic exerts direct influence over both individuals and its regional subdivisions, sovereignty ultimately resides in the people who select their representatives. Moreover, the division of power between the central government and the federation’s individual subdivisions varies from one federal republic to another.Typically, matters with a national scope, such as those relating to security, defense and monetary policy, rest with the central government. Issues that are more localized, such as infrastructure and education, are given to the individual subdivisions. Most federal republics formalize the division of powers between the levels of government in a written constitution. A constitution is an official document that states the nature, functions, responsibilities and limitations of a government.Federal republics differ from federal monarchies in that federal monarchies may or may not be based on democratic principles, whereas all federal republics are democratic in structure. Federal republics also differ from unitary republics, in which central governments have total sovereignty over all political concerns. Cuba has a totalitarian communist state government. It is headed by President Raul Castro. Raul succeeded his brother, Fidel Castro, as president in 2008. Castro is the president, chief of state and commander of the armed forces of Cuba. Cuba became a communist state because Cuban leader Fidel Castro believed communism was the movement of the working class. 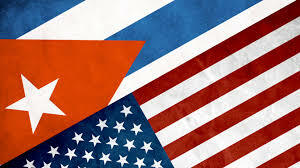 Castro also established strong ties with the Soviet Union, and sharing its communist ideals ensured military and financial support from the Russians. According to the Cuban constitution, the state is guided by the ideas of Karl Marx and Vladimir Lenin, two of the leading theorists of communist thought. Furthermore, the constitution enshrines the Communist Party of Cuba as the “leading force of the society and the State.” As in most communist societies, the economy is planned centrally, and state-owned enterprises conduct most of the business on the island and employ the vast majority of the workforce. In the 21st century, however, Cuba began to warm to private markets, instituting currency reform and shifting some of the workforce out of state employment.